Item # 318138 Stash Points: 7,995 (?) This is the number of points you get in The Zumiez Stash for purchasing this item. Stash points are redeemable for exclusive rewards only available to Zumiez Stash members. To redeem your points check out the rewards catalog on thestash.zumiez.com. Grab attention with the all-new flashy King Ice The Lotus Flower Gold Necklace. A symbol of purity and the soul, the lotus flower is an undeniable mark of divinity; a spiritual icon that you can now use to upgrade your daily looks with this gold accessory. 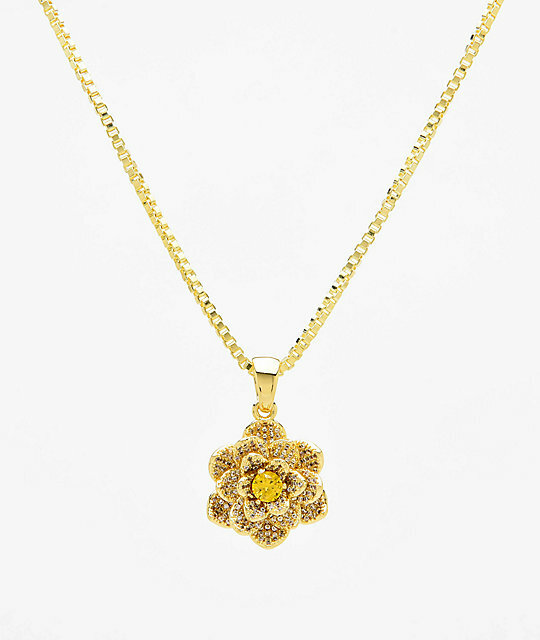 Finished with micro pave CZ stones, The Lotus Flower Necklace offers a timeless aesthetic. 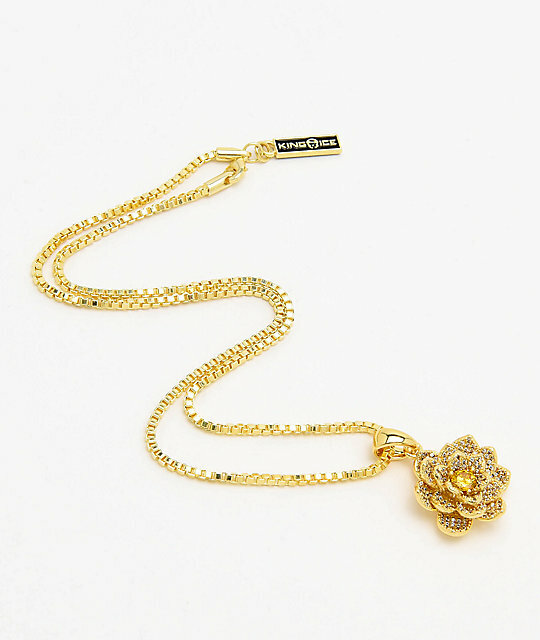 The Lotus Flower Necklace from King Ice. Brass construction plated in 14k yellow gold. Finished with micro pave round CZ stones. 17" (43cm) box link chain. 1" (3cm) lotus flower pendant.